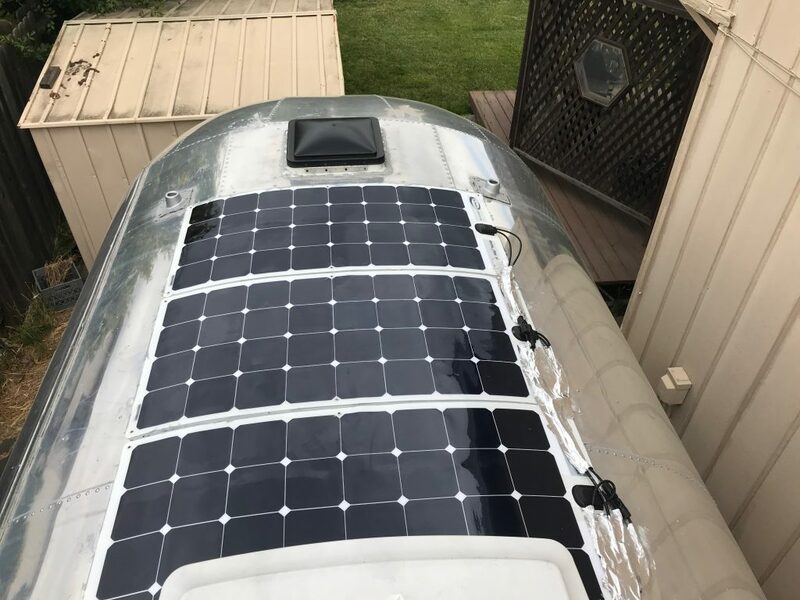 Go Power Solar Flex 500w Kit Installation | 1960 Airstream Ambassador Blog! Restoring a Dream on Amazon! 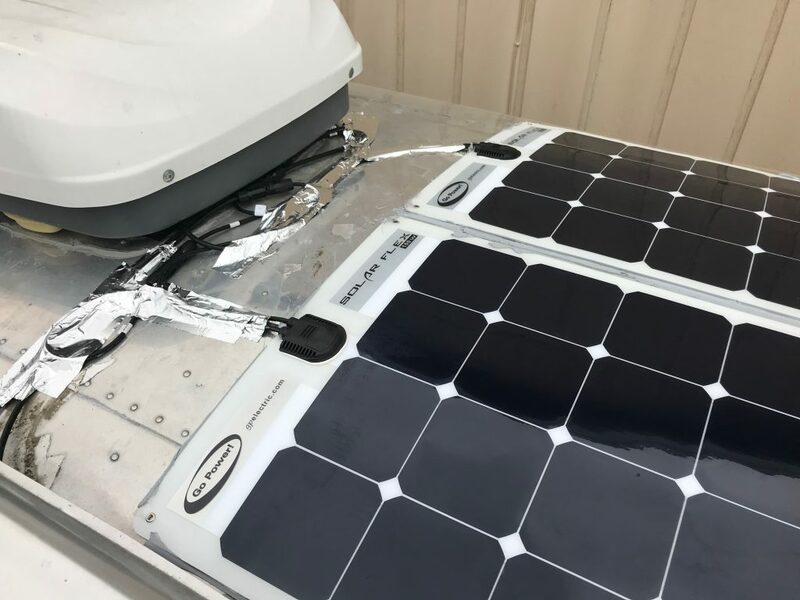 You might recall back in 2014 we installed a Go Power 400w Flex solar kit. You can read about it here. Sadly over the years the panels stopped producing enough power to charge. 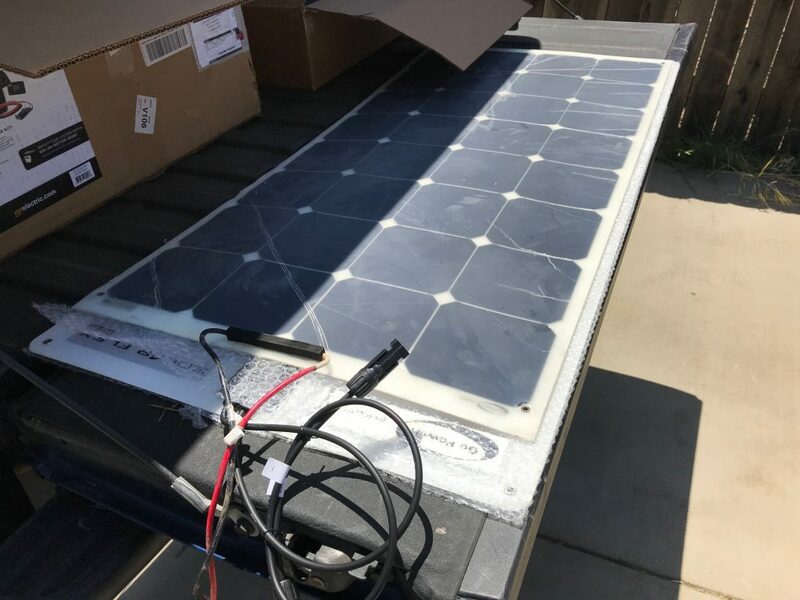 Go Power said there was a ‘bad batch’ that allowed the panels to become oxidized. The good news is they are covered under a 5 year warranty. Go Power sent me a 500w kit to replace and review for them. 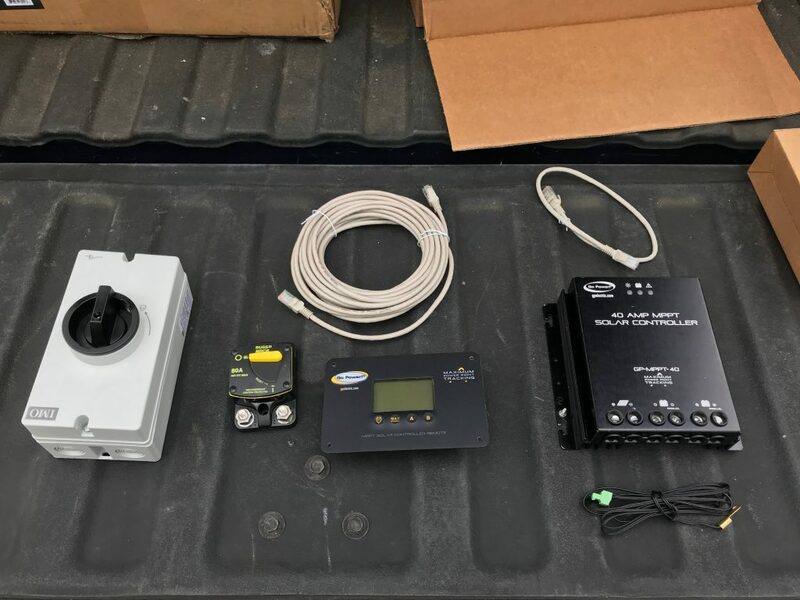 The new kit includes five 100w panels, an MPPT controller, solar disconnect switch, and all the cables you will need. 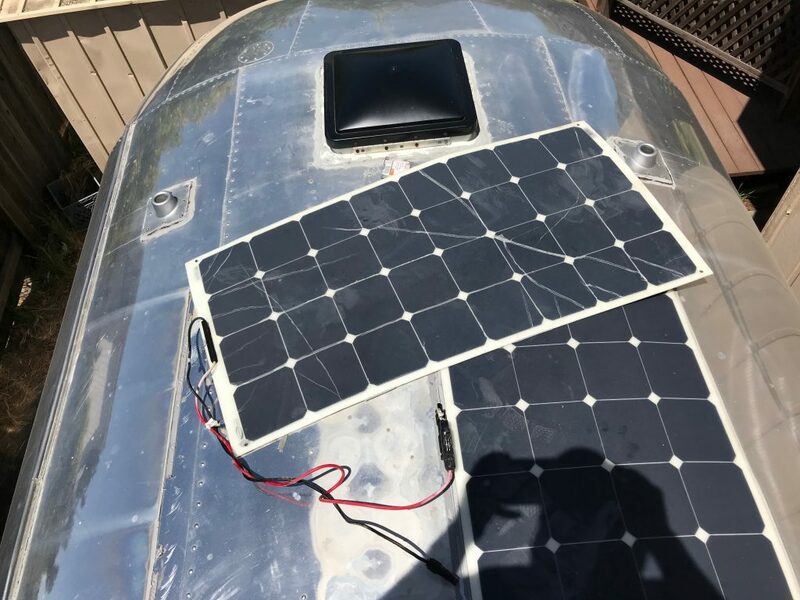 Solar disconnect, remote display, MPPT controller. Old panel over the new for size comparison. First I had to remove all the old panels. I found a metal putty knife to work best. Careful not to scratch the aluminum! One panel off, three to go! Like before, I used 3M VHB tape and Sikaflex to hold the panels on. The 5 panels are wired in series for the MPPT controller bringing the voltage up to nearly 100VDC. Be careful! The solar cables come in through the refrigerator vent. 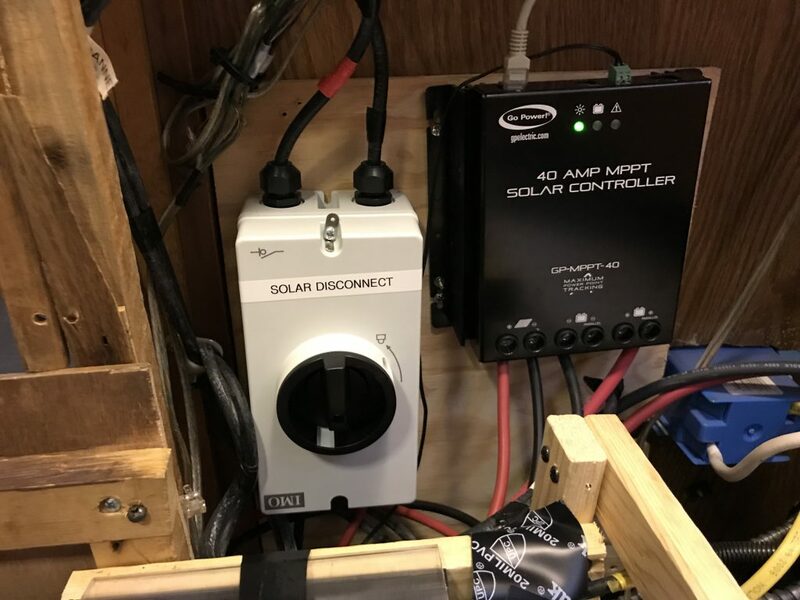 The cables go to the Solar Disconnect then on to the Maximum Power Point Tracking (MPPT) solar controller. This is a more efficient controller than the original PWM model. 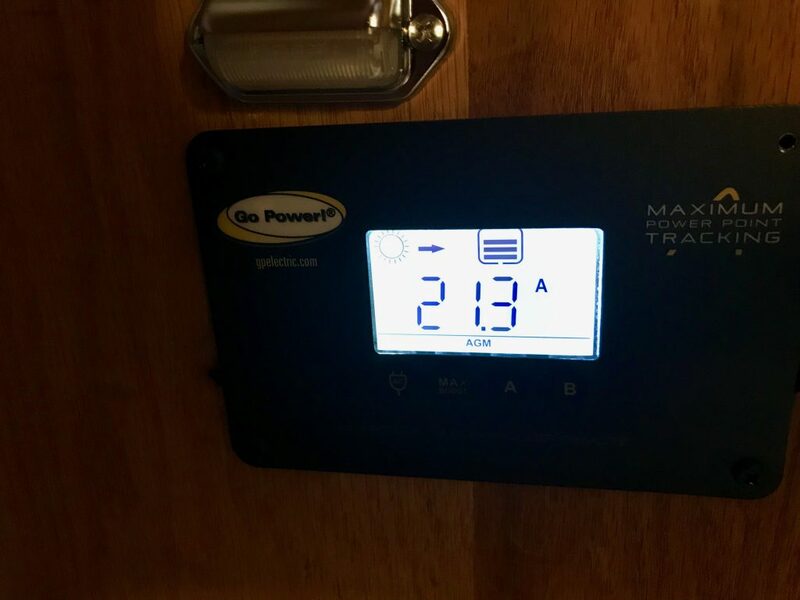 I tested the system by running the microwave using the inverter. This draws about 150 amps from the batteries. As you can see, I was able to get over 20 amps from the solar system! 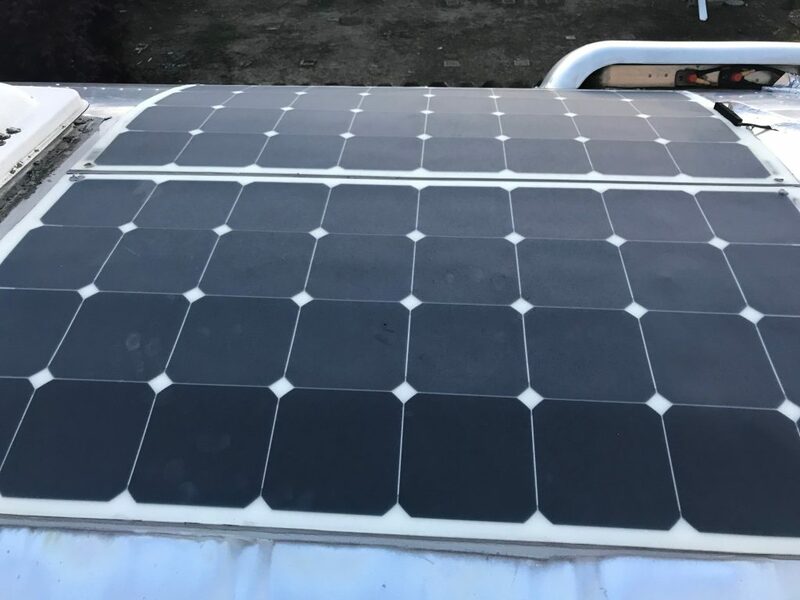 As long as these new panels hold up against oxidation, it should be a good investment to boondocking! Check out Go Power at gpelectric.com. Grab a cup of coffee and enjoy this installation video. This entry was posted in on May 28, 2018 by Tim. ← One little project, one not so little.